Welcome to our comprehensive list of the very best shavers 2019 has to offer! Shave quality – how close does it shave, and does it get into tight spaces? Shave speed – how long will it take you to complete a shave? Build quality – is it built strong? How powerful is the motor? Charge duration – does it travel? Or will you need to charge every day? Maintainability – how much is involved in cleaning and maintaining the shaver? Value – considering both the purchase price AND ongoing costs. If you don’t feel like reading our in-depth reviews, just scan the ratings – go for high-scoring blues and avoid the lemons! We have a mix of old and new shavers for your consideration – we don’t just check out the new models – we want to see how they stack up against the best from the past. The top 3 shavers are exceptionally close, with the top of the line Shaver 9700 from Philips Norelco taking out the top spot. We have a foil shaver from Panasonic in at number 2. The classic Braun Series 7 has been pushed out to number 4. The Braun 7 has topped out a lot of shaver reviews, but we feel that it’s starting to get a little long in the tooth (even if the latest incarnation supports wet shaving – at last!). After a few hiccups Philips Norelco made a new name for themselves in electric razors, particularly with their 3-head rotary shaver. The 9000 series is the very best they have to offer the market, and it’s left many people very impressed. Read on to see what the fuss is about. Many people compare the shave quality to a blade. While these kind of results aren’t found across the board, the overwhelming opinion is certainly that this shaver provides an excellent shave. The Philips Norelco S9721/84 Shaver comes with three power settings that trade off shaving comfort against aggressive cutting. Regardless of the setting chosen, users have reported that the shaver provides a comfortable shave. This is surprising for a rotary shaver, which are usually associated with higher levels of skin irritation than foil shaving (despite what Philips Norelco’s marketing literature says). Additionally, only light pressure is required to get a close shave, which helps shaving comfort considerably. This is where the Philips Norelco 9700 Shaver shines above all other competition. The shave speed is incredibly fast. Many users report 2-minute shave times. This is as fast as anyone can reasonably expect to complete a shave. No doubt the independently moving shave heads help a lot here, making sure that only one pass is required while you shave. Philips Norelco have had a few issues with other models in this area. We hope they’ve ironed them out in their flagship 9700 shaver. A few people report that the shaver has a cheap, plastic-y feel to it, which is disappointing for one of the most expensive shavers on the market. There is however no reason to doubt the strength and quality of this unit. Philips Norelco have made a shaver that provides 50 minutes of operation from 60 minutes of charging. This is in line with other shavers at this level, although many of them are available at a somewhat lower price-point. In practice, this performance seems to bear out, and given the extremely short shave times attained with the Norelco 9700 Shaver, this means that the shaver can be taken away for a couple of weeks without its charge base or cable. There’s little that the 9700 Shaver from Philips Norelco doesn’t do. It shaves both dry and wet, including in the shower. The ‘SmartClick’ trimmer is a departure from other models at this level. It’s separate to the main unit, and is used by replacing the shave head with the trimmer, transforming the shaver into a robust beard trimmer. The trimmer has five different length settings that can be used to keep a beard, moustache or sideburns neat and tight. It can be used completely cord-free or plugged in as well. The same cord can be used to plug in either the shaver or the charging base. This is very useful when traveling, since the charging base is quite large and inconvenient to pack. If only there was a place in the travel case to put the cord! The cleaning component of the charging/cleaning base of the Philips Norelco 9700 Shaver does a very good job, but is not as vital for getting a clean finish as some foil shavers. The shaver comes up very clean after washing under the tap. Being able to easily remove the shaving head for cleaning helps a lot here. Many users have found the cleaning system to be optional, and are happy to save some money on the cleaning fluid. The shaving head will of course wear out over time. The replacement head is slightly more expensive than those of other shaving models, but it’s a small amount considering it’ll only need to be done every 12-18 months. The shaver represents good, but not superb value. While it does perform exceptionally well, the Norelco is significantly more expensive than other models that perform almost as well. Ongoing costs associated with cleaning fluid can be avoided, which increases the value, and the shave head durability and cost is in line with other shavers at this level. This is where Panasonic gets serious and pulls out everything they have to make the best shaver possible. Many people think they’ve succeeded, although it comes at a big cost. The Panasonic Arc5 in its various incarnations is consistently the most expensive shaver on the market. Nonetheless, after testing the ES-LV95-S against other brands and other Panasonic models, many users are happy to stick with this model. Read on to find out what Panasonic have come up with, and see if you think their flagship shaver is worth the big asking price. 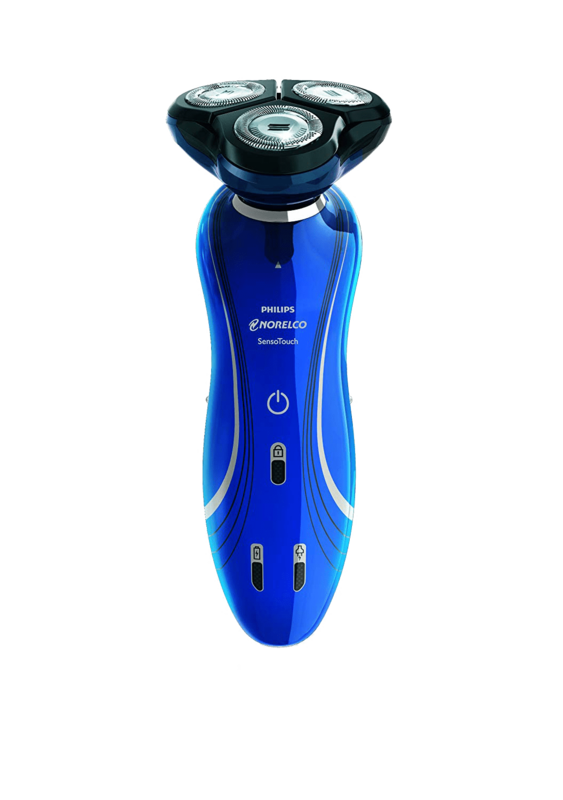 With the five blades (hence Arc5) and 14,000 RPM motor, Panasonic have created a razor that provides a consistently excellent shave. Surprisingly for a high-speed foil shaver, the shaver is quiet and has little vibration. The Panasonic ES-LV95-S Arc5 performs at a similar level to the other high end shavers on the market from Braun and Norelco, and probably represents the closest shave you’ll get from an electric shaver. The downside comes from the enormous shaving head. The Panasonic Arc5 has one of (if not the) largest shaving area of any shaver on the market. This is fantastic for mowing through stubble quickly, but makes it awkward to maneuver around a beard or moustache. There’s nothing on the market that shaves as quickly. Many users have found they can get a high-quality shave in as little as two minutes. As mentioned previously, the massive shaving head has a lot to do with this – it just covers more of your face on each pass. Added to this is the ‘Active Shaving Sensor’ which automatically adjusts the shaver power as it senses changes in your beard thickness. All this adds up to a very fast, high quality shave. This is the only slight disappointment. For such a premium product, it’d be nice if it felt a little less plastic-y. This is not to say that the Arc5 is any less robust than any of the other Panasonic shavers, which have proven to be superbly well-built. It’s just that the shiny metallic plastic doesn’t impart a feeling of quality. The internals appear to be as robust as ever, with the motor performing consistently and strongly over time, and there’s no reason to doubt the strength of the product. An hour’s charge should give the Panasonic ES-LV95-S 45 minutes of shaving time. If you get your shaves down to a couple of minutes, then that’s easily a couple of weeks shaving from one charge. As stated previously, Panasonic don’t make any claims about their Lithium-ion battery’s ‘memory effect’, where the battery capacity can shrink over time. This doesn’t seem to have been a problem with these shavers, but Panasonic don’t seem confident to add anything specific to their marketing material about their battery. The LCD readout provides useful information about the charge level, so you’ll know ahead of time when the shaver needs charging. Much better than having the shaver cut out mid shave! The Panasonic Arc5 is an exceptionally versatile shaver and leaves nothing to be desired here. The shaver can be used for both dry and wet shaving – including in the shower. The trimmer performs well and solves some issues with the trimmer that plagued earlier models. Since the charging cord can plug into both the charging station and the shaver, you’re not married to the bulky charging/cleaning base when you’re traveling. The shaver comes with a soft leather travel case, which is a nice touch but wouldn’t seem to provide the level of protection that the hard cases provided by some other models and manufactures do. The shaver does have a cap to protect the shaving foil however. As with other high-end shavers, the Panasonic ES-LV95-S comes with a charging/cleaning base that cleans and dries the unit so well it looks brand new. The cleaning solution should be available from the same retailers you can purchase the shaver from. As always, check before you buy. The shaver can be cleaned effectively under running water with the shaver in ‘sonic vibration’ mode, but the result won’t be as impressive as that achieved with the automated cleaning base. As mentioned before, many people use a mix of tap and cleaning base to cut down on the cost of the cleaning fluid. The shave head can, and should, be replaced every 12-18 months. In a change from other manufactures, Panasonic sell the foil and cutting blades separately, as well as in a pack. This provides some flexibility while maintaining the shaver. Once again, make sure you can access these replacements before you think seriously about buying this shaver. While this shaver performs as well, or better in many cases, as any other shaver on the market, we can’t see that the performance merits the extraordinary price tag. If you need the very best of the best, then you may find value in the Panasonic Arc5. As with other manufacturers, Panasonic offers a money-back guarantee if you’re not completely satisfied with the shaver, which makes trying it out much less daunting. Like many other shavers, there are ongoing costs associated with using this shaver. The cleaning fluids will need to purchased regularly, and it’ll need a new shaving head every 12-18 months. 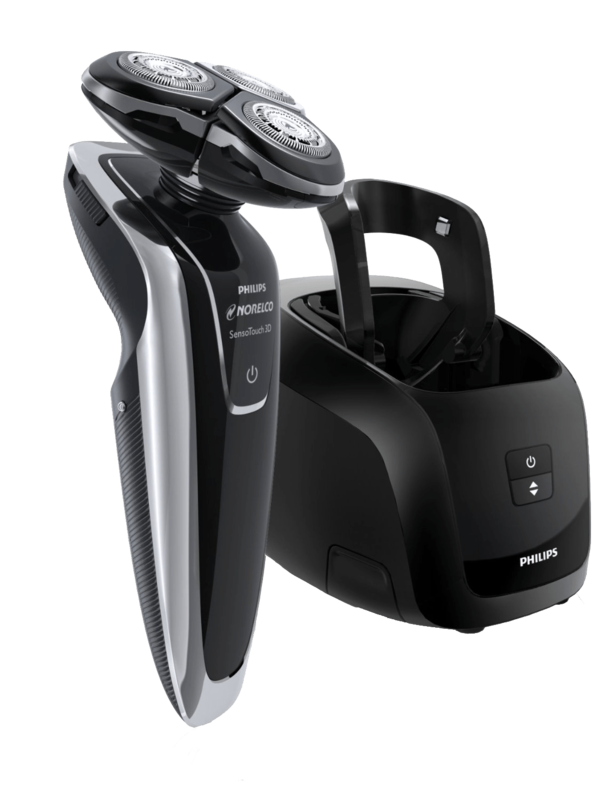 The 8900 electric shaver got Philips Norelco back into the shaving game. Their brand took a hit with the Arcitec series, which was perceived as being not up the the standards Philips Norelco had set for themselves in the past. With the 8900 many previously loyal customers found themselves returning to the Philips Norelco brand. This version, the Shaver 8900 is the latest incarnation of the 8000 Series. It shares a similarly high price with the Norelco 9000 Series. Is the high price justified? Read on to find out. his is obviously the first thing an electric shaver will be judged by, and the quality is very good. Philips Norelco introduced their independently pivoting shave heads in this model, and they’re one of the main reasons for this shaver’s excellent performance. They make it easier to get the shaver into undulating areas around the neck and under the jaw. The Norelco 8900 provides an excellent shave, and most importantly, does so with a minimum of irritation. Unlike many other electric shavers, this model requires only a small amount of pressure to get a good shave. Users have reported shaves similar to, or even closer than a blade. However, as is often the case with rotary shavers, some men found that the shaver caused irritation on their necks. Note, as always, this will vary a lot depending on beard thickness and experience with the shaver. This of course is the other major consideration when looking for an electric shaver. One of the main reasons we use an electric shaver is for convenience and speed! The Philips Norelco SensoTouch Shaver 8900 doesn’t disappoint here. It shaves very fast, although not as reliably fast as some other shavers on the market. While some men found they could complete their shaves in three minutes, some again took much longer. Once again, individual men will have different results here depending on their beards. There were initial problems with this shaver that Philips Norelco seem to have resolved in subsequent manufacturing runs. Some users found that the lid for the pop-out trimmer made a strange noise, and others have had problems with the charging station. These issues seem to have been solved, and Philips Norelco issue the shaver with a two-year warranty, which inspires more confidence than the one-year warranty supplied by many other manufacturers. Having said that, the 8900 feels solid in the hand. It cuts well and strongly over a period of years. As with all other electric shavers, shaving head performance will reduce with use, and the shave head will need to be replaced. Philips Norelco have produced a shaver (or rather, sourced a Lithium-ion battery) that provides an incredible 60 minutes of shaving for 60 minutes of charge time. That’s the longest operation time and the best charging efficiency we’ve encountered. Given shave times of as little as three minutes, this means you could conceivably get 20 days of shaving out of a single charge. Users generally report two weeks of shaving time from one full charge. You’d expect a shaver at this price to do a lot, and the Philips Norelco 8900 certainly does. It can be used for wet and dry shaving, can be used in the shower (as opposed to just wet shaving with foam or gel), and has a convenient pop-out trimmer. Some people have found it easier to use the trimmer with the shave head removed, since the shave head can block the trimmer from view. The shaver is great for travel, since it comes with a robust travel case, and very importantly, has a locking switch to prevent it from turning on accidentally in your luggage. All told, it’s a very versatile and functional electric razor. The Shaver 8900 is easy to clean, with or without the charging/cleaning unit. The shaving heads can be cleaned directly under running water, and then flipped up to clean underneath them. This allows a very thorough clean with your bathroom tap. Of course, the ‘JetStream’ cleaning base does an even better job, and lubricates the shaver as well. Many people have found that the shaver runs more smoothly after they’ve used the cleaning base, and obviously it cuts down on your time in the bathroom. You can start one of the three cleaning cycles (Automatic, Intensive and Low Energy) and get on with your day while it finishes. This is a very good shaver, especially since Philips Norelco have got the bugs out of their manufacturing process, however it doesn’t quite justify the price increase from models that perform similarly. There are obviously ongoing costs with cleaning fluid and the replacement shaving head. A 10 ounce bottle of cleaning fluid should last more than two months, and the shaving head for at least a year. Careful use of the shaver and judicious use of the JetStream auto-cleaner can reduce these costs over time. If you’ve been shopping around for a while, you’ll have noticed the Braun Series 7 (the Braun Series 7-799cc Pulsonic Men’s Shaving System, to give it its full name) coming up over and over again. The reason for that is that Braun have probably come as close as possible to making the perfect shaver for the largest possible slice of the market. It may not be perfect for everyone, but most people are very impressed. What’s got everyone so excited? Read on for the details. Shaving performance varies from ‘good’, to ‘very good’, to ‘as close as a blade’. As always, results vary between users, but the Braun 7-799cc has provided the closest shave most consistently. Wet shaves tend to be a little closer. 10,000 microsonic vibrations per minute to “help capture more hair” (we’ll take Braun’s word for it on that one). The “ActiveLift” plate that lifts hair away from the skin in difficult to reach areas, like the neck. The ‘Personalization Modes’ you can use to set shaving power and speed to suit your face. 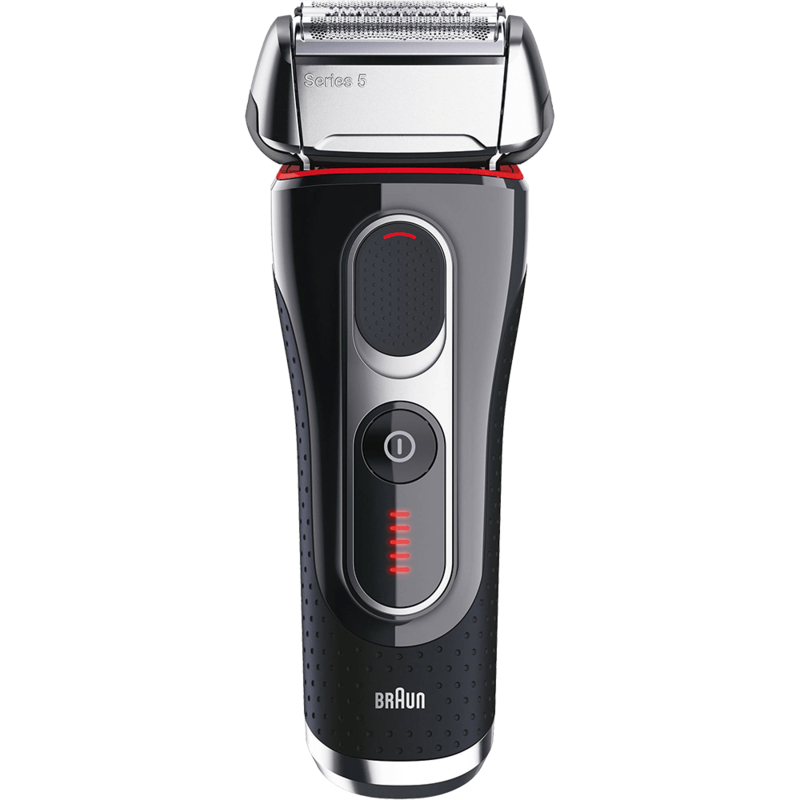 The Braun 7-Series provides a good shave in as little as 5 minutes for many testers, but some have reported shaving times of up to 15 minutes for a very close shave. This is one area where the Braun 7-Series loses out to its main competitors – the Panasonic ES-LV95-S Arc5 Wet/Dry Shaver. Once again, the thickness and hardness of your beard will have a lot to do with shaving speed, as well as your preparation (read more here on how to get the best shave). Build quality is excellent with both the construction of the unit casing and the motor lasting exceptionally well. Previous 7-series shavers have performed faultlessly with daily use over a number of years, and there’s no reason to think Braun has changed anything here. Men who use this shaver daily report few, or no defects. The ‘expendable’ parts of the shaver such as the foil and shaving block (see more in Value) should be replaced every 18 months, depending on patterns of usage. This level of wear is normal, and replacements are generally sold by the same stockists that sell the razor. Braun claim that one hour of charging delivers 50 minutes of shaving, and that 5 minutes of charging is enough for one shave. A big change with the 799cc is that since it’s Braun’s first 7-series wet shaver, it doesn’t support plugged-in shaving and charge times are even more important. Testers have found that the charge times and performance are in line with Braun’s claims. Braun also claims that the Lithium-ion (Li-ion) battery used in the shaver has no memory effect, meaning that the battery’s capacity will not reduce over time. The Li-ion battery is the weakest link in many cordless devices, and if the battery really doesn’t have a ‘memory effect’, then the shaver should last as long as you do! Happily Braun have introduced wet shaving with the 799cc, which means you can use the shaver in the shower, or in combination with foam or shave gels. This is a big improvement in versatility and puts the shaver back in contention with its main competitors. As mentioned previously, this also means that the shaver no longer supports plugged-in shaving, no doubt because Braun don’t want to be on the wrong end of a lawsuit the first time someone tries shaving in the shower with their shaver plugged into the mains! The pop-out trimmer does a good job and its designed sensibly (many add-on trimmers are positioned so that it’s impossible to use them and see what you’re doing at the same time). This makes it easier to get in close around the edge of a beard or moustache without accidentally mowing some of it off. For short travel the 799cc is perfect, since one full charge should cover a few days’ shaving. Longer trips will require the charging and cleaning base however, which – like many shavers with auto-clean features – are bulky and not convenient to travel with. As mentioned, the Braun 7-799cc comes with a charging/cleaning base combo that provides an auto-clean function. The auto-cleaner does an astonishingly good job, returning the shaver to a box-fresh level of cleanliness. It’ll look like it did the day you took it out of its box. To avoid the ongoing cost of cleaning fluid, some people have made their own cleaning fluid using a mixture of water and rubbing alcohol. We can’t recommend this since, should something go wrong, it would probably void your warranty with Braun. The shaver can be cleaned under running water – the auto-clean isn’t mandatory, although your shaver won’t have the same shine to it. This is very helpful for travel or quick shaves away from home. The only part of the shaver that will really wear out is the shaving block – the foil and cutting blades. This will need to be replaced every 18 months or so. Read more on this in the next section, Value. Overall, we feel that the Braun 7-799cc is excellent value – provided it’s the right kind of shaver for your beard (see more here on how to choose the right shaver for your beard). While it’s not a cheap shaver by anyone’s standard, its performance and durability over time warrant its price. An important point to consider is that there are some on-going expenses associated with the shaver – one is cleaning fluid, and the other is the replacement shaving block. When considering the Braun, or any other high-end shaver, it’s important to consider the availability of consumable parts. Most retailers that sell the shaver will also sell the cleaning fluid and shaver block replacements, however it’s best to make sure. Shaver blocks need to be replaced every 18 months or so, depending on your pattern of usage. They’re a fraction of the overall price of the shaver, and restore it to a ‘like-new’ level of performance. The cleaning fluid tends to be a sore point among some users, who feel that it’s overpriced. Again, check the prices of your local retailers, and it’s good to keep in mind that the auto-clean is optional, or can be used infrequently. It’s great when everyone talks about one of your products, even if it’s just because of the way it looks; Philips Norelco must be very happy about the attention the SensoTouch 2D shaver has been receiving. Despite the sleek looks, this shaver sits in the middle of Philips Norelco’s product offerings, hovering between the budget and premium models. What’s interesting though is that even though this shaver doesn’t command the highest prices on the market, it offers some of the best versatility and value we’ve seen in this review. Even though Philips Norelco haven’t blessed the SensoTouch 2D’s shaving heads with the same level of mobility as the 8900 (hence ‘2D’), this shaver performs surprisingly well. Many users are exceptionally happy with the shave offered, and say that it compares favorably with a blade. Added to the exceptional shave performance its outstanding comfort – it’s rare for men using this shaver to report any redness or irritation after using it. Philips Norelco expect a user to be able to complete a shave with the SensoTouch 2D in as little as 3 minutes. Actual times vary based on individual men of course, but it’s not unrealistic to expect shave times between 3 and 5 minutes with this shaver. The powerful motor and large shave head combine to work through a morning shave as quickly as possible. As with any electric shaver, there’s a breaking in period where you and the shaver get used to each other (mostly, it’s you!). Many people find that their shave times start improving after 3-4 weeks of usage. The SensoTouch 2D feels solid and well made in the hand. Added to that, it looks incredible. So much so that some people feel it improves the way their bathroom looks! The motor runs consistently and well, and there are very few reports of mechanical faults with this model. The shaver is manufactured in the Netherlands (the home of Philips) and is made to very high standards. The one area where things could be improved is the Jet Clean system for this shaver. There have been a few reports of the water sensor in the Jet Clean system failing, sometimes repeatedly. It’s important to note that the Jet Clean systems vary between shaver models, so issues that affect this model won’t necessarily affect other models. Also remember that the cleaning system is covered by the same 2-year warranty as the shaver. Philips Norelco advertise that one hour of charging delivers 50 minutes of shaving, and that’s what you get. This will often be enough for two weeks of shaving. As is usual with modern shavers, it also has a 3-minute ‘quick-charge’. The Lithium-Ion battery lasts well over time, with no apparent reduction in charge capacity. The SensoTouch 2D is another electric razor that’s found unexpected versatility in the head shaving arena. The pivoting shave heads and ergonomic handle are well suited to shaving the skull and back of the neck. Besides that, this shaver has the usual features consumers expect at this price point – it shaves both wet and dry, including in the shower, and includes a pop-up trimmer. When it comes to travel the only minor tradeoff with this shaver is that it can’t be used plugged into the wall. The charging/cleaning unit is really too big to take on the road, so you’ll be dependant on the shaver’s charge to see you through the trip. Given the charge times and shave speed, this shouldn’t be a big problem. Like many of the rotary shavers made by Philips Norelco, the Jet Clean station is a nice, but not mandatory feature. The shaver cleans well and quickly under running water, but if you want that extra sparkle the cleaning base will certainly provide it. The blades and shave head will wear out over time; not earlier than 12 months, but usually not later than 18 months if you’re using the shaver every day. As always, make sure you can find a replacement shave head before you consider purchasing this, or any other shaver. We feel that this shaver represents some of the best value we’ve encountered so far. Between the price-point it’s offered at and the shaving performance it’s difficult to beat. The shaving head is priced similarly to other brands and models, and the cleaning fluid isn’t mandatory, so running costs will be as minimal as possible for this kind of electric razor. Overall, the SensoTouch 2D is excellent value. The little brother to Braun’s 7-series has a lot to offer at an attractive price point. Short of some of the 7-Series bells and whistles, the Braun Series 5-5090cc still has all the shaving power of its big brother. However it’s not all roses for the 5090cc. Read on for more details. Probably the biggest factor in the shaving quality of the 5090cc is the powerful motor driving the shaver. Many users expressed surprise at the quality of the shave on even 3-4 days’ growth. Once again, results here will vary by beard type, experience with the shaver, and a user’s expectation of what a good shave really is. Braun’s ‘ActiveLift’ plate does a great job of lifting hairs away from the skin, especially important around the neck, and the pivoting head can be adjusted to make sure the shaver reaches everywhere it’s supposed to. Shave speeds vary dramatically again, with reports from 3-minute shaves through to 30-minute shaves. As we’ve said before, this is also heavily affected by the users beard, expectation and experience. Probably the most telling comments regarding the 5090cc though, are that it’s not usually necessary to go over the same areas over and over again, and that shave times have been half of the time spent shaving with a blade. Even though the rights to manufacture and market Braun shavers has been divided up between Proctor and Gamble and De’Longhi, the superb German manufacturing quality that made Braun’s name lives on to this day. The shaver feels solid and good to hold in the hand. The motor is powerful and, based on testing to date, very reliable. Braun claim that one hour of charging delivers 45 minutes of shaving, and that 5 minutes of charging is enough for one shave. Once again, testers have found that the charge times and performance are in line with Braun’s claims. As with Braun other flagship shavers, the Lithium-ion (Li-ion) battery used in the shaver has no memory effect, so that charge capacity should remain the same over the shaver’s lifetime. Braun have a lot to say about the 5090cc shaver’s water-tolerance, saying that the shaver is “waterproof for up to 5 m for full wash ability,” (we assume they mean 5 minutes, and not 5 metres) but aren’t as vocal about the implications for wet and dry shaving. Other 5-Series shavers support wet shaving in the shower (notably the 5040s) with foam or gel, they’re not specific about using the 5090cc for a wet shave over the sink. While many users use the shaver this way, and have even used ‘dry shave only’ shavers with foam and gel, we can’t be certain of the outcome with the 5090cc. Traveling with the shaver is superb for a few days, but unless you have space in your bags for the charge/cleaning unit, you’ll need another option if you’re away for more than a week or so. Another issue that comes up with both travel and home use is the shortness of the charging unit’s cord – the power outlet will need to be at around bench height in order to plug in the charger. If the bathroom power outlet is inconveniently located (as it is in many hotel rooms!) you’ll need to pack an extension cable too. The Braun 5-5090cc comes with a charging/cleaning unit that returns the shaver to a like-new level of cleanliness and hygiene. The shaver has a battery charge and ‘hygiene’ indicator on it that lets you know when it’s time for a clean. Some users feel the hygiene indicator is a excellent way for Braun to sell more of their cleaning fluid. Which brings us to the cleaning fluid. Braun’s cleaning system cleans and lubricates the shaver head using Braun’s cleaning fluid. The fluid is an ongoing expense that many users mitigate by stretching intervals between cleans out to a week or two. This is feasible because the shaver can be cleaned under running water. The only parts of the shaver that will really wear out are the foil and cutting blades. They should last 18 months with everyday use, although Braun suggests they be replaced after 12 months. As usual, the foil, blades and cleaning fluid should be available from the same stockist you get the shaver from, but please make certain you can get them before investing in the shaver. The shaver is very good value. It’s cheaper than other shavers we’ve looked at and has similar cutting performance. Getting the high standard of Braun manufacturing at the prices this unit is available at is an excellent opportunity. As mentioned above, even though this shaver is great value, unless the replaceable parts such as cleaning fluid and shave heads are readily available – and reasonably priced – the shaver won’t perform well for more than 18 months. It’s possible to save on cleaning fluids by using the auto-clean functionality infrequently, but as with other shavers we’ve covered, we can’t recommend making your own cleaning fluid, as many men like to do. The level of excitement shown over this shaver says a lot. Between the price and the performance of the shaver, many users can’t believe their luck. This shaver is veering toward the budget end of the market (but not quite there yet) and outperforms many other expensive shavers. As usual, there are some tradeoffs involved in bringing this level of performance at this price-point – read on to find out more. Users have found the Panasonic ES-LF51-A provides a good shave very quickly, and certainly performs as well as the more expensive foil shavers in the Panasonic line. The shaver motor hums along at a blistering 14,000 RPM/CPM (that’s revolutions per minute/cycles per minute). No-one has ventured to say that the shaver shaves as close as a blade, but many users are so satisfied with the shave they don’t bother going back to their disposable razors. As with the overwhelming majority of foil shavers, there are no reports of skin irritability using this shaver. This shaver is highly regarded for providing a fast shave (as always, results vary between users), with many people reporting 2-3 minute shaves, which means it should be possible to get 15 or so shaves from one full charge. Whether that works out in practise or not is up to the individual, but this shaver is certainly one of the fastest we’ve encountered. The downside associated with the very high shaving performance is that the shaver can be very noisy. If you’re up shaving while the rest of the family sleeps, this may not be the best shaver for you. These shavers are made in Japan and Panasonic has done an excellent job of manufacturing them. The shaver has generally been found to be very hard wearing, making it an excellent choice for travel. Since it doesn’t have a charging base, it will spend a lot of its life sitting on the side of the bathroom sink, and can survive a few drops to the bathroom floor. The Panasonic ES-LF51-A should give 45 minutes of shaving from one hour’s charge. Be aware that the first full charge may take significantly longer than an hour, but that’s the only time you should have to wait that long. Unlike Braun, Panasonic don’t make any claims about their Lithium-ion battery’s performance over time, particularly with regard to ‘memory effect’ (reduction of a battery’s capacity over time). Fortunately this shaver supports plugged-in shaving, so the battery wont be a limiting factor in the shaver’s lifespan. The Panasonic Arc4 scores highly on versatility since it caters to nearly everything you’d want to do with a shaver. The Panasonic can be used for both dry shaving and wet shaving with foam or gel. However Panasonic’s definition of a ‘wet shaver’ ends there – this shaver can’t be used in the shower. The shaver also performs superbly for travel – it has a locking switch to stop it being turned on inadvertently during travel (“excuse me sir, could you tell us why your bag’s vibrating?”) – remember those 14,000 RPM and attendant noise. It also comes with a hard travel case for further in-transit protection. Finally, travel is where the lack of a charging base becomes a bonus – since you won’t need a bulky base in your bag while you’re traveling, you can charge the shaver anywhere you please, or just use it plugged in. This is the one area where we see this shaver under performing compared to the competition. But since the competition comes in at significantly higher prices, you’ll have to decide for yourself how important it is to you. The main problem for us here is the lack of a charging/cleaning base, with the emphasis on cleaning. The shaver can be cleaned very well by running it under a tap in ‘Sonic Vibration Cleaning Mode’, but it won’t reach the levels of sparkling cleanliness as other shavers with auto-clean systems that use an alcohol-based cleaning solution. The foil and cutting blades can be replaced with parts provided by Panasonic. As a general guide, expect to have to replace the cutting components every 12-18 months. This shaver is fantastic value, given its shave performance, versatility and relatively low price compared to other shavers with similar performance. Once again, the lack of a cleaning and charging base helps out here, since there’s no ongoing cost with cleaning fluid. As mentioned earlier, cutting heads need to be replaced, but only infrequently and they’re inexpensive compared to the cost of the shaver itself, since replacing the cutting components delivers like-new performance. The Aquatec range (more recently known as the Shaver 4500 range) occupy an uncertain space in the upper end of the budget market. They often come in at less than $100 and share some, but not all, of the features of shavers from the upper end of the market. As usual, there are compromises, but this shaver provides the best shave you’ll get from a budget shaver. Many heavily bearded men gleefully exclaim that the Shaver 4500 provides the best shave they’ve ever had. We have to say it again (say it with me): shaving results will always vary based on beard and skin types. Nevertheless, we’ve never seen so many positive results for such a cheap electric shaver. Another fantastic bonus is that this shaver gives very little skin irritation, especially when used with a gel or foam. For a budget shaver, this unit performs well on speed. Five minutes is not an unreasonable time to expect from this shaver. The shave head is very good at picking up hairs and is large, which cuts down on the number of repeated passes required for a shave. While light and small in the hand, this shaver doesn’t feel cheap to hold. It’s not comfortably solid like some more expensive electric razors, but about what you’d expect it to for the price. The Shaver 4500 lasts well, has few reported defects and the motor performs strongly over time. The shave head wears as expected, and will need to be replaced after a year or so of continual use. The Shaver 4500 provides the now standard 50 minutes of shaving time from one hour’s charge, and has a three minute ‘fast-charge’ option when you’re caught out with a flat battery. The shaver provides a fast enough shave to make the three minute charge useful. This is fortunate since the shaver can’t be used plugged in, a big disadvantage for many users. The Philips Norelco Shaver 4500 is versatile and will perform well in most situations. Obviously it can be used dry, but can also be used with gel and foam, as well as in the shower. The use of pre-shave oils is popular with this electric razor. It has a trimmer that pops out, and is as convenient to use as any other trimmer included with an electric shaver. The shaver is small and convenient for travel, even if it doesn’t include a travel case. It does include a cap to protect the shave head from being damaged by your friendly airport security. The charger is mercifully small. The only problem we can see with this unit is that it can’t be used while being plugged in, which can be inconvenient if you’re caught short with a low charge. As mentioned earlier, the three-minute fast-charge adequately resolves this problem (if you have the extra three minutes!). As it has no cleaning unit and is completely waterproof (it’s rated for use in the shower, but don’t try shaving at the bottom of your pool), it’s designed to be cleaned effectively under a running tap. This works well, as does cleaning it in the shower. This is a fast process, facilitated by the ‘pop-up’ shave heads. Philips Norelco also provide a cleaning brush to give the heads a sweep every once in a while, to make sure you’re really getting everything. The head will of course wear out, and is replaceable. As with most razors, this will need to be done every 12-18 months – it’ll be like having a new razor. Here we have another razor outperforming its price point. The Philips Norelco Shaver 4500 (formerly known as ‘Aquatec’) can be used for a fast and close shave. Be sure to read our guide on how to get the best out of your shave if you have this shaver, or one like it, and think it could be performing better. Ongoing costs are minimal, since there’s no cleaning fluid to use on with this shaver, and replacement shave heads are cheap compared to the high end shavers. Overall, Philips Norelco have made a fantastic shaver for the price they’re selling it at. Here’s where Panasonic shoot for the budget end of the market, trying to give as much as possible for the best price they can. 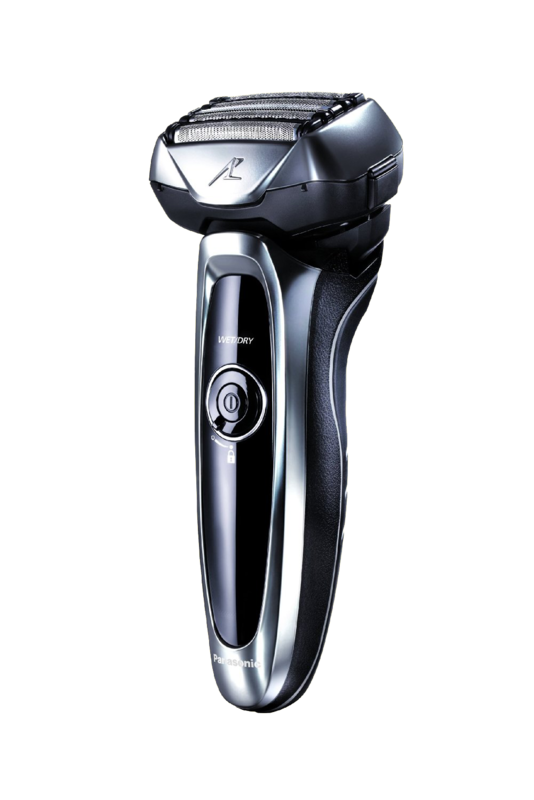 The gulf between prices for their top of the line Arc5 and this shaver is enormous – is the gap in performance as large with Panasonic’s latest incarnation of the Arc3? Nowhere have results varied so enormously with shave quality. Many people are disappointed with the shave quality and the level of skin irritation, but experience much better results using this unit wet, either in the shower or just with shaving cream. A few have reported excellent results, but they’re in the minority. It’s not that surprising that the shave quality doesn’t meet the same standards as the top-of-the-line shavers in Panasonic’s Arc line. The motor runs at 7,800 RPM and there are only three cutting blades (although the Braun 7-Series provides one of the best shaves on the market with only one cutting blade). If you have a light beard, you may still get great results. You might just have to work for it a little. Seven minutes seems to be that fastest users can complete a shave with this electric razor. Many people mention frustration at having to pass over the same area three or four times to get a close shave. This has a lot to do with the fixed-position shave head, which makes harder to maneuver the shaver around the jaw and under the nose. As always, you should take beard thickness into account when considering these issues. The shaver is built as sturdily as anything else that Panasonic makes. While the motor doesn’t run at the same speeds as the other electric shavers covered here, it’s certainly reliable. The one area that may leave users disappointed is the battery, which we go over in the next section. The first thing to stand out is the massive 15-hour charge time. Once fully charged, most users get around 3-days of shaving out of the unit, which is satisfactory. The Panasonic Arc3 comes with a charging unit, and with charge times like this, it’ll probably have to spend most of it’s time in the unit. Some users have found that the battery does not hold its charge as well over time as other shaver models. Given the impressive battery performance in their other models, the battery is where Panasonic have obviously made a change to reach a certain price point. Given the compromises introduced to keep the price down, this is a surprisingly versatile shaver. The Panasonic Arc3 supports both wet and dry shaving, including in the shower. This is fortunate since the best shaving results are overwhelmingly found when the shaver’s are used with gel or shaving foam. The ES-SL4-S includes a trimmer that users have found awkward to use. The trimmer juts from the shaver at a 60 degree angle, making it difficult to move around the edges of a beard or moustache, although it’s fine for trimming your sideburns. Finally, the shaver can’t be used plugged in. This means that if you take it away traveling with you, you’ll need to bring the charging base with you to keep the shaver charged. Fortunately, since it doesn’t have an auto-clean system, the shaver is easy to clean. Panasonic have added some ‘water shutters’ that can be opened to let water run through the shaver. This avoid the necessity of pulling the shaver head apart to rinse it under the tap. As with all shavers, the blades and foil will wear out over time, and shaving performance will decline. Surprisingly, for a budget shaver, Panasonic supply replacement blades and foils for this model. Most manufacturers wouldn’t bother for a shaver sold at this price point, so this is a nice surprise. This shaver represents good value. It’s aimed at men who don’t want to spend a lot on their shaver, or are interested in experimenting with an electric shaver. The old dictum that you get what you pay for isn’t necessarily true with electric shavers, but in this case it’s true enough. Since it has no cleaning base, owners will be spared the cost of cleaning fluid. As mentioned, replacement shave heads are available and will extend the life of the shaver considerably. Given the price of the shaver, many men will simply buy a new one rather than replace the shave head. As Philips Norelco diligently segment the shaving market to make sure they have a shaver for every budget, we arrive at the Shaver 3500. This is an incredibly popular shaver, and has been around for a while. It’s at a price point where consumers will happily take a risk on it to see if works, and many have been happily surprised. As always, a budget electric shaver brings compromises. Read on to find out what they are. “Good enough,” is the consensus. The Norelco Shaver 3500 incorporates important features such as floating shave heads to provide consistent contact with the skin, which improves the shave dramatically. Most men find the shave adequate, and some find it surprisingly good. 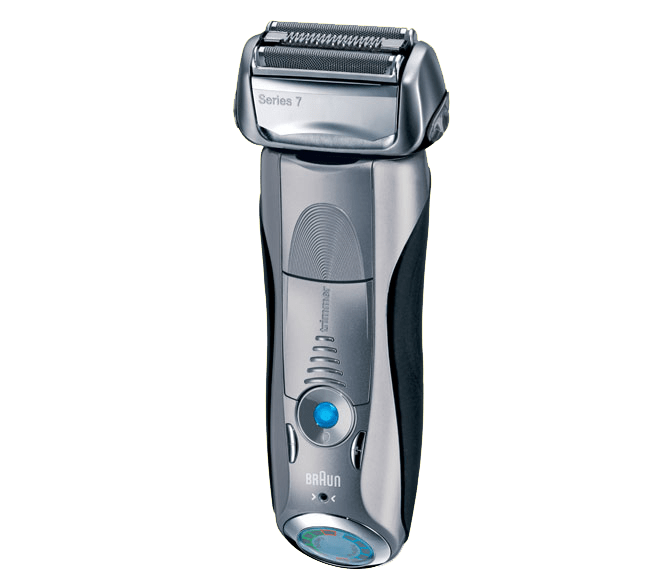 A shaver’s motor has a lot to do with shave quality, and since Philips Norelco don’t provide any specs about the Shaver 3500’s motor we assume it’s nothing to brag about. Most importantly, most people are able to shave without significant irritation, especially after the first month of using the shaver. Given the low output of the motor, the shaver does a reasonable job of making short work of a morning’s shave. 8-10 minute shaves aren’t unusual. The shave head used by the Shaver 3500 is known to be the best of the Power Touch (that’s the ‘PT’ in the otherwise inscrutable model number: PT730/41) series, and this helps improve the shave time considerably, as it’s better at picking up hairs that lie close to the skin. As always, results will vary. Some men do find they have to go over an area of skin several times, but most find it satisfactory. Words used to describe this electric shaver are ‘cheap’, ‘plastic-y’ and ‘tinny’. There have been a few issues with the shaver breaking soon after purchase, however Philips Norelco have provided replacements quickly and consistently when this has happened. Unsurprisingly, sacrifices have been made to reach this price point, and the build quality is obviously one place where costs have been saved. The unit casing is entirely plastic and can break if dropped. The motor, if weak, is durable and appears to function consistently over time. If you look after this electric shaver, it should look after you. The shaver takes 8 hours to charge and then provides an hour of shaving time. The Lithium-Ion battery is obviously not the same as the ones used in Philips Norelco’s higher-end shavers. If the long charge time is a deterrent, this electric razor can always be used plugged in. One hour of operation from a full charge is quite good however, compared to many of the higher end shavers. This is often enough for a week’s worth of shaving, assuming you’re only shaving your face! (more on that in the next section, Versatility). The unit does have a 3-minute fast-charge option for a quick shave, but be aware that as with cheaper batteries, the battery capacity will reduce over time. While the Norelco Shaver 3500 only supports dry shaving (you can’t use it in the shower, or with shaving foam/gel), many men have discovered that the shaver excels for head shaving, even though that’s not what the shaver’s designed for. The shaver grip and pivoting shave heads are superb for covering the contours of the skull. Otherwise, this shaver has a very functional pop-out trimmer and is very good for travel – it’s small, portable and comes with a cap to protect the shave heads during travel. The shave head is replaceable, and shouldn’t need to be replaced for at least 12 months, assuming normal use. As mentioned previously, it’s great to see shaving manufactures providing replaceable parts for their lower-end shavers. Many consumers would see an appliance in this price range as disposable, and the ability to replace the only part of the shaver that will really wear out saves the user money over time, and reduces waste. As with similar electric razors, the shaver can be cleaned easily under a tap, and it comes with a small brush for cleaning out the shaving heads. We feel that this shaver provides decent value for the budget end of the market. The only ongoing cost will be replacement shaving heads no more than once a year or so, and there are no ongoing costs associated with automated cleaning units. As mentioned, Philips Norelco has economized on the build quality, but if the shaver is properly cared for, there’s no reason it shouldn’t last for a long time. For many men this shaver has worked very well for both their faces and heads – if this is the kind of shaver that works for you, that represents great value at this price point.